A/Prof Branka Krivokapic-Skoko's interests are in exploring rural issues and emerging social science research methods. Her doctoral thesis and a book published in 2006 have contributed significantly to the field of ethnic entrepreneurship in regional areas. Her ARC funded collaborative work, with Professor Jock Collins on bridging and bonding social capital within non-metropolitan Australia, is extending knowledge on the diversity within rural communities. The research has produced a number of publications in high ranking journals and book chapters. 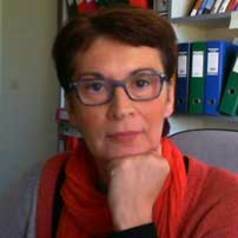 Branka also developed and chaired a working group on Ethnic Dimensions of Rural Social Change and Development at the XII World Congress of Rural Sociology, 2008. She has advanced the comparative analysis of ethnic entrepreneurship by applying Qualitative Comparative Analysis, publishing in the area of comparative methods.